Extra Fine Dark Chocolate 70% Cocoa. 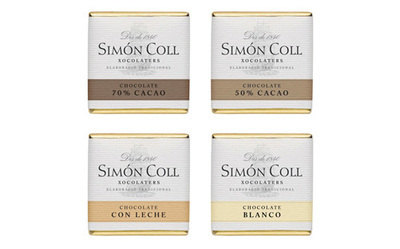 Manufactured from selected and traditionally roasted cocoa beans by SIMON COLL. Ingredients: Cocoa mass, Sugar, Emulsifier (Soya lecithin) and flavouring (Vanila). 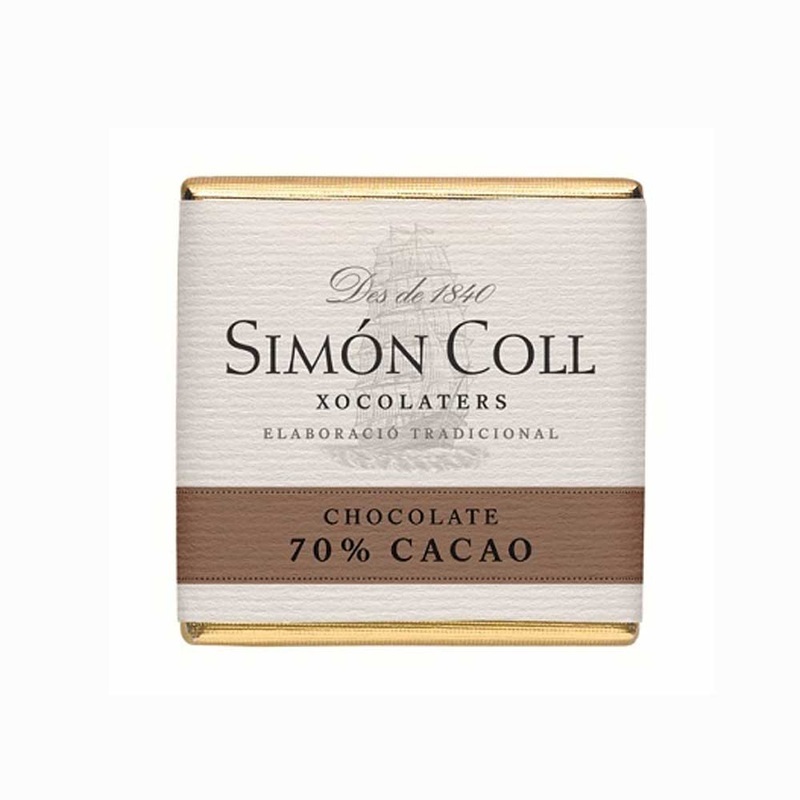 Cocoa solids: 70% minimum. May contain milk traces. 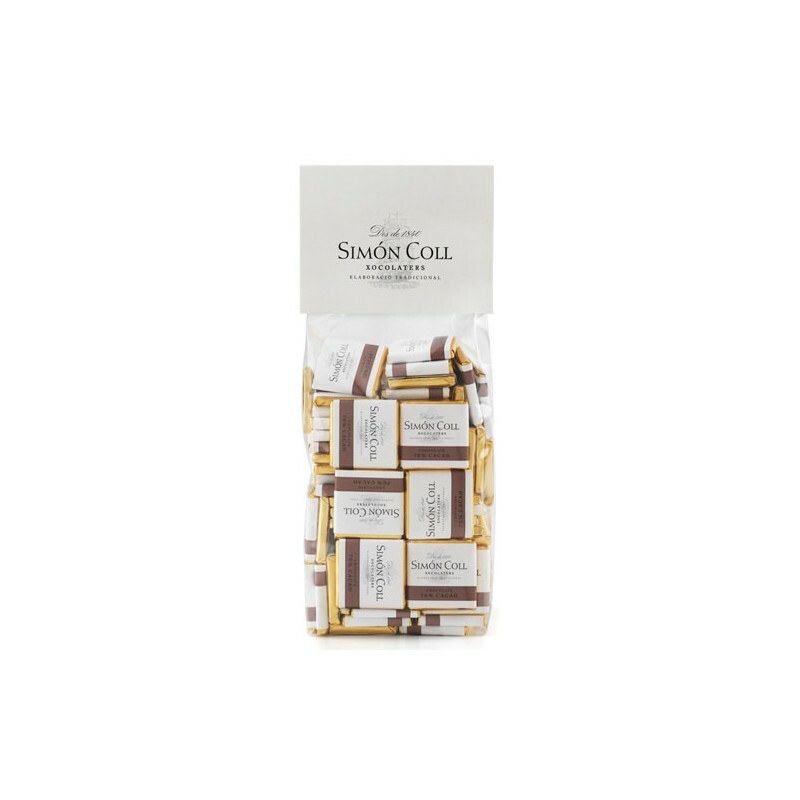 This bag contains 100 napolitans of 5 g each.